BOOM! This deal is BACK! 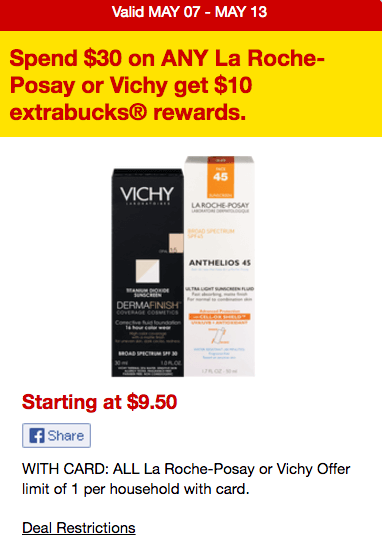 Now through 5/13, CVS is offering $10 Extra Care Bucks when you spend $30 on any Vichy products (limit 1). Included in this deal is the Vichy Thermal Spa Water, 1.69 oz. which is priced starting at $9.50 depending on the region you live in. Check your 5/7 RP insert for this high value $7/1 ANY Vichy product coupon making it possible to score 4 of the Vichy Thermal Spa Water, 1.69 oz for FREE after Extra Bucks Rewards and coupons! Don’t forget to check your CVS app and scan your ExtraCare card at the Coupon Center in store. You never know what surprises you’ll find there! 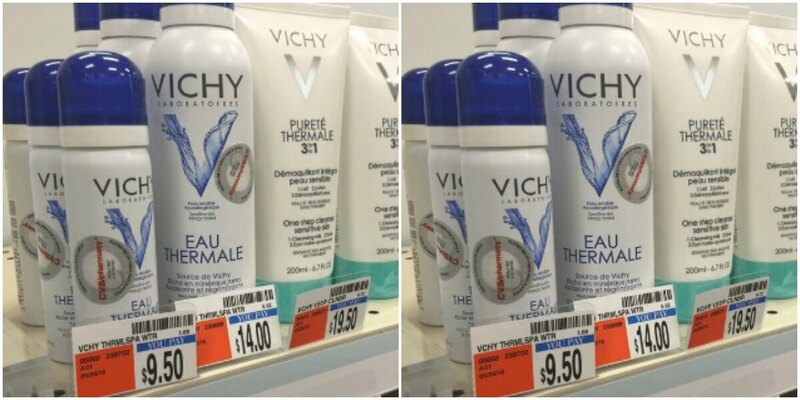 Buy 4 Vichy Thermal Spa Water – psa $9.50 ea. Be sure to check out the rest of the CVS Deals for this week!